True freshmen Justin McGriff and Katerian Legrone are still officially listed as “athletes” on Nebraska’s football roster. They joined the Huskers’ 2018 recruiting class as players capable of fitting at either tight end or wide receiver, but both will start out their careers with the latter group tight ends coach Sean Beckton said. “I like what I have at tight end and we’re a little light at wide receiver. Coach Frost came to me and said, ‘Hey, we have to move Justin over to wideout.’ That’s what he played in high school. Down the road if he continues to grow then he’s obviously going to slide in [to tight end],” Beckton said. McGriff (6-6, 220), a native of Tampa, Florida, originally committed to this staff while it was at UCF before flipping to the Huskers a week after Scott Frost took the Nebraska job. Over his last two high school seasons he made 52 catches for 972 yards (18.7 yards per catch). McGriff enrolled early and will take part in spring drills. Legrone (6-3, 230) is a bit bulkier, but put up wide receiver-type numbers for Atlanta’s B.E.S.T. Academy. Legrone had nearly 2,000 yards receiving on 18.5 yards per catch while also returning kicks (549 yards) and playing on defense (115 career tackles). Beckton said the staff has a specific spot in mind for him. That “kid” was true freshman Marlon Williams from Mobile. A 3-star prospect listed at 6-feet, 205 pounds coming out of high school, Williams added nearly 20 pounds over the summer before his first season at UCF. He appeared in 12 games for the Knights in 2017, making 17 catches for 270 yards (15.9 per catch) and a touchdown. The Huskers have plenty of options at tight end with nine listed on the roster, which makes it a little easier for Beckton to let a few go at this early stage. But how the game has changed also makes the receiver-to-tight-end progression, if that’s what happens for McGriff or Legrone, somewhat natural. 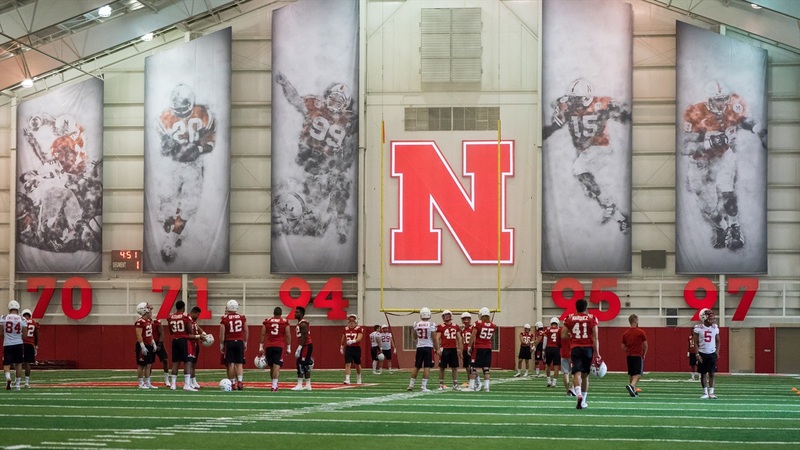 Nebraska opens spring practice Friday morning.